Working on this GUI has been a lot of fun, even though it took all spare time away from further developing my chess engine BikJump. 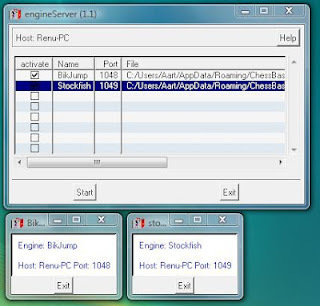 But pioneering support for third party engines (at a time nobody was compiling for ARM), both UCI and XBoard, accessing endgame tablebases on SD card, adding PGN and setup features,simplifying engine setup through Chessbase compatible format and the Android Open Exchange format, using OCR apps to read chess positions, translating text to other languages, maintaining an online manual, and recently adding support for Certabo, DGT, and Millennium electronic chessboards has been just as rewarding. 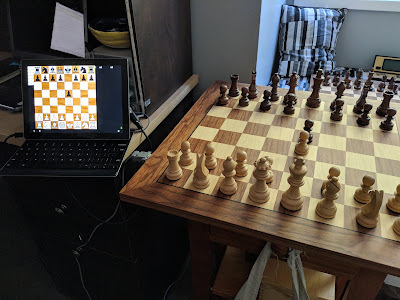 I have compiled many engines for Android back in the days, ran full tournaments, and overall tried to improve the ecosystem for chess on the Android platform. Now, ten years later, we have many excellent chess apps on Google Play, each with their own loyal fan base. Below you will see all the devices I have used over the years to test my apps. Even today, all apps still run just fine on the Android Dev Phone 1 with Android 1.6 (api 4). A merry Christmas to all my chess friends out there!